We always enjoy the return of a once-forgotten trend, even if it does make our friends in the pub look at us strangely. (Best to ignore them.) At the moment, we're witnessing the reemergence of the nylon bag first made popular in the '90s and '00s. 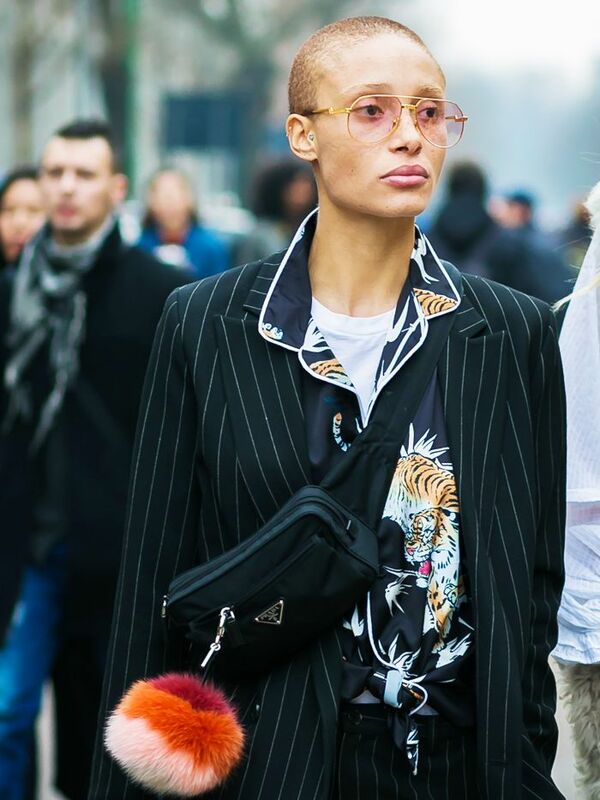 We saw it in the form of Prada's iconic version being worn by Kim Kardashian West, Kendall Jenner and model-of-the-moment Adwoa Aboah (pictured above) last summer. And thanks to Prada showing new iterations of the bags on the runway last season—and more recently during the men's show in Milan—it's already an easy one for the high street and other brands to jump on. This is, of course, fantastic news. While you can invest in a classic piece by Miuccia (we still very much want to own one), you could also spend £20 for a high-street version and still look stylish. However, there are also some other incredible designer pieces too that you don't want to overlook. From backpacks to bum bags as well as classic totes, there's a bag suitable for every budget. The final bonus? Thanks to its utilitarian style, it not only gives your wardrobe an update for spring/summer 2018, it's also incredibly functional. Keep scrolling to choose yours from our pick of the best. 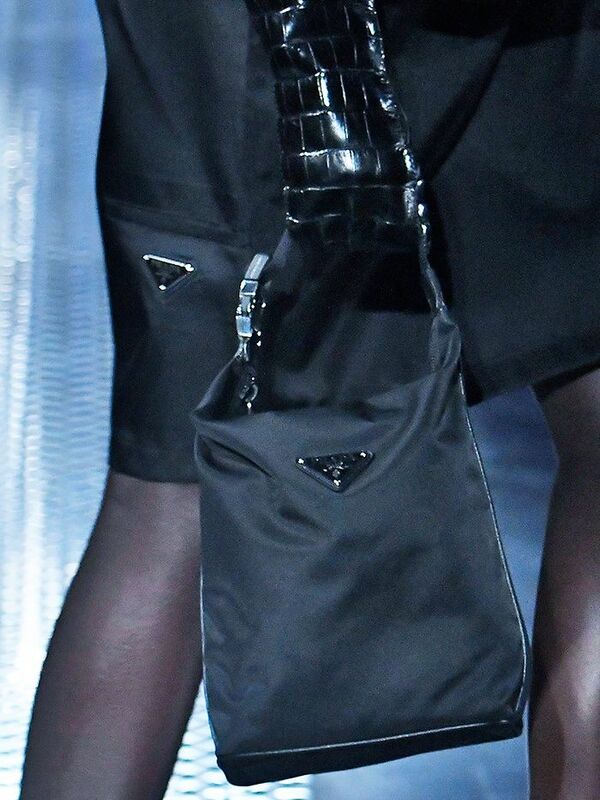 No nylon bag list would be complete without Prada. The new high-street favourite has got all your bag needs wrapped up in one. Who said you need to spend a lot to look good? Not us. For those who really love '90s fashion. This one reminds us of school, but we can see it coming back in a big way. An elegant tote from H&M. A great-gym bag alternative. Wear this across your chest à la Adwoa. Muji has been offering a great variety of nylon bags for years. It's not all about black pieces, you know. 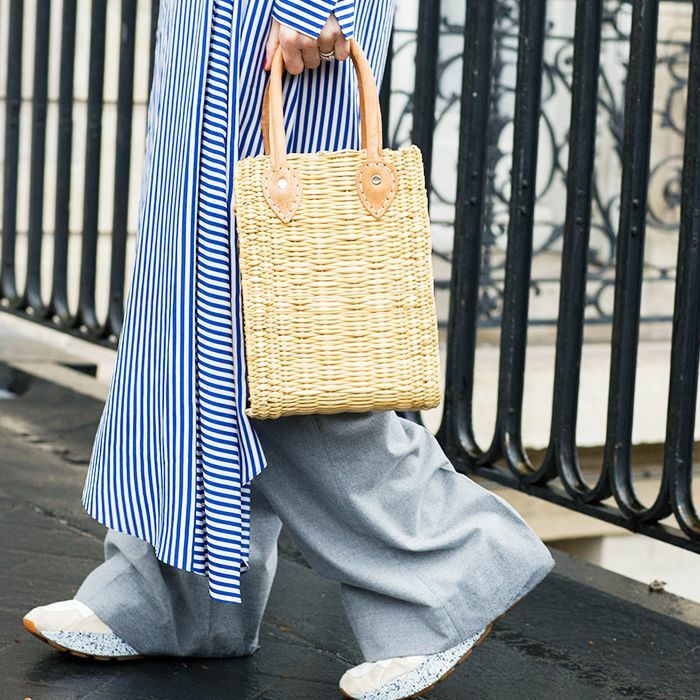 One of our favourite athleisure brands steps up with this chic tote. Kate Spade has just reissued this piece. Get on it quick. This editor has her eye on this bag.